Admiral Timothy J. Keating, Commander of the US Pacific Command (USPACOM), is leading a delegation to visit Viet Nam from December 12-14 at the invitation of Lieutenant General Nguyen Duc Soat, Deputy Chief of the General Staff of the Viet Nam People’s Army (VPA). Admiral Keating and Lieutenant General Soat held talks in Ha Noi on December 13 to exchange views of some international and regional issues of common concern. 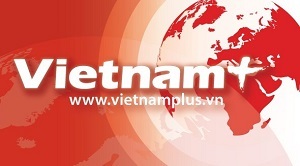 A delegation from the Vietnamese Government Office is visiting the US to inquire into the host country’s administrative reform experiences. 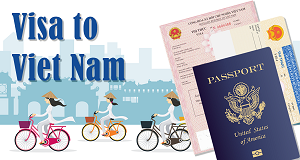 The Vietnamese officials, arrived in the US on December 12, had working sessions with those from the office for federal register of the US National Archives and Records Administration and the White House’s budget management department. They also met with officials of the US Aid and Development Agency, the House of Representatives Law Revision Counsel Office and the US National Security Council. Vietnam and the US should further expand both sides' efforts to preserve regional stability, the US assistant secretary for political-military affairs said during his meeting Tuesday with a Vietnamese official. The assistant secretary Stephen Mull told Vietnam's Deputy Minister of Public Security Nguyen Van Huong the US wants to have a good working relationship with all the countries in the Asia-Pacific region, including Vietnam. State President Nguyen Minh Triet has said that a sustainable economic growth and a safe and sound investment environment will make Viet Nam an attractive destination for US investors. US Secretary of Commerce Carlos M. Gutierrez has expressed belief that the relationship between the US and Viet Nam will continue to grow and get even stronger, especially in the economic front. Prime Minister Nguyen Tan Dung on October 23 told a delegation of the US Commission on International Religious Freedom that Viet Nam is willing to talk with the US on differences on religion. PM Dung welcomed the US religion watchdog delegation and reiterated Viet Nam ’s position of respecting the public rights to religion and non-religion. He said he was pleased to see steps forwards in cooperative and friendly ties between the two countries. U.S. administration officials and Congress members conveyed through the outgoing Vietnamese Ambassador Nguyen Tam Chien their regards and congratulations to the Vietnamese leaders on Vietnam’s achievements, especially its accession to the WTO and its election with overwhelming votes to the UN Security Council. US Senator Saxby Chambliss said he wanted to strengthen bilateral relations between his country and Vietnam during a meeting with President Nguyen Minh Triet in Hanoi Wednesday. Republican Senator Chambliss of Georgia, a member of the Senate Intelligence Committee and the Senate Select Committee on Intelligence, also told Triet he was delighted at the important trade agreements reached between the two governments. Vietnam will do its utmost to strengthen bilateral ties with the US, Prime Minister Nguyen Tan Dung told outgoing US Ambassador Michael W. Marine Friday. Dung spoke highly of Marine’s contributions to promoting bilateral ties, particularly in trade and investment. The US hospital ship Peleliu arrived in the central city of Da Nang on July 15 to undertake humanitarian assistance as part of the Pacific Partnership.